Every one of us has a hobby or interest that we love to nerd over and shower with our time and money (the little we have of it, at least). It could be a love for reading, in which nothing is better than being surrounded by a bevy of novels to dig through, or a love of music in which an album collection can number in the hundreds. Whatever the case, Berkeley is fortunate to have a myriad of stores and passionate sub-communities that seem to cater to every nerdy obsession we could possibly have. For music and movies there’re Rasputin’s  or Amoeba Music . For books, there are Mrs. Dalloway’s , Moe’s Books , Pegasus Books , Half-Price Books  and many others. For games ranging from the tabletop variety to PC/console games, there’s Eudemonia  and Games of Berkeley . Really, exploring Berkeley reveals many cool shops that could easily be missed. 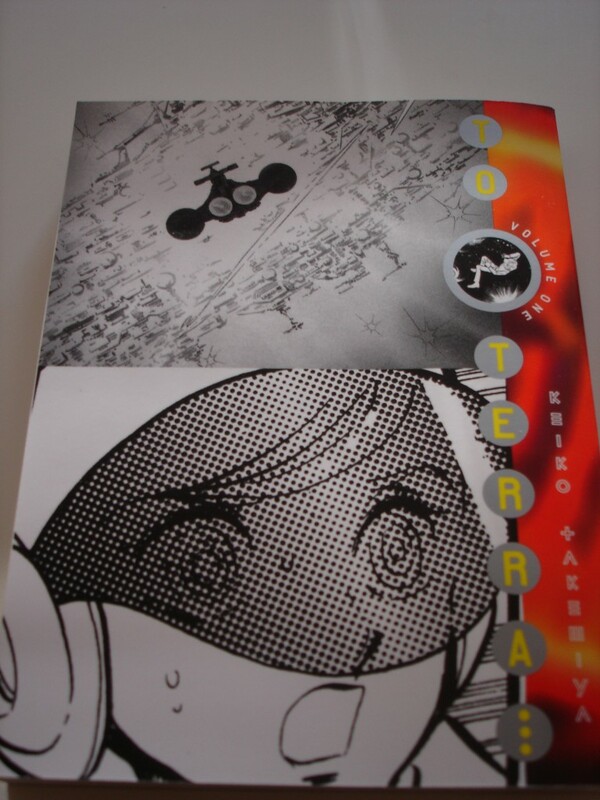 Alongside her other (currently un-translated) manga, “The Song of the Wind and the Trees”, “To Terra” is Keiko Takemiya’s most well-known work. Takemiya has quite the prestigious reputation; she is a member of the “Year 24 group” or the “Magnificent 49ers”, a term assigned to female manga artists who greatly influenced the Japanese comic scene in the 1970s/80s. As an older work, “To Terra” holds up pretty well. Despite some sci-fi clichés, you can’t help but feel enthralled by the pure emotion that Takemiya packs into her characters and universe; expect many tears and dramatic speeches from Jomy as he questions life under the heavy watch of Universal Control. It’s melodrama (IN SPACE) done well. One of the most impressive things about the comic, however, is the art itself: beautiful black and white panels that depict the expanse of space and the intricate details of the spaceships and its interiors. Character designs are also very attractive – graceful and effeminate with the sparkly doe-eyes you would expect. 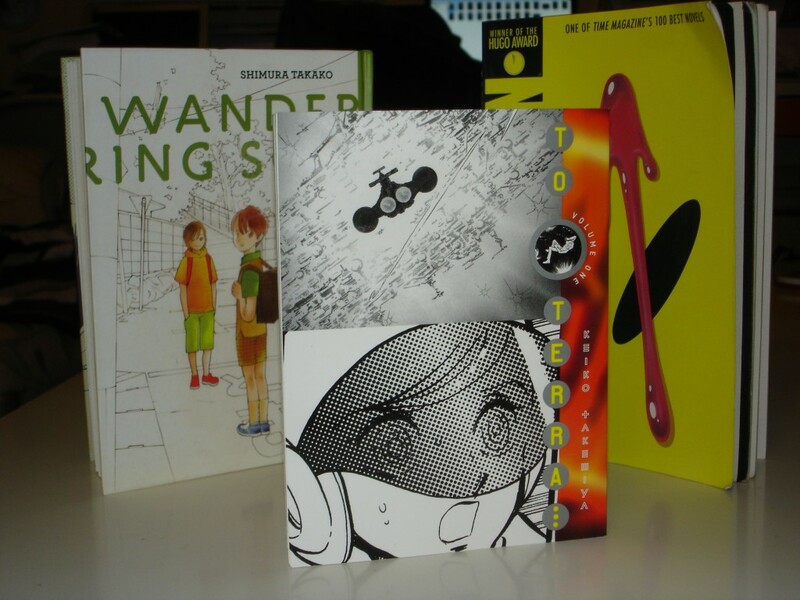 All-in-all, if you are into classic manga, “To Terra” is another quality title in Vertical’s  library. Vertical has a free preview  of the comic on their website. Be sure to check out the rest of their collection as well. Vertical also publishes an impressive number of Osamu “Godfather of manga” Tezuka’s work  as well. Bless their souls. 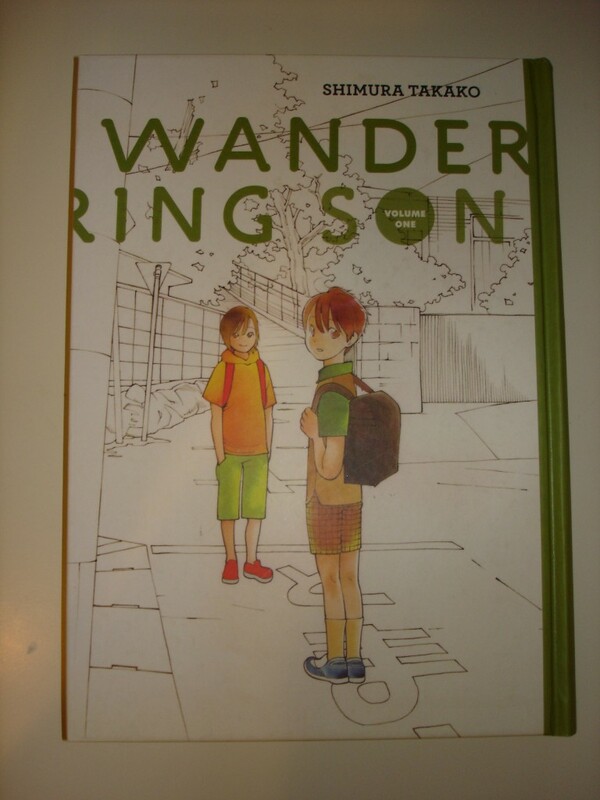 Currently running in the Japanese magazine “Comic Beam,” “Wandering Son” is a touching work that follows a young boy named Shuichi Nitori and a young girl named Yoshino Takatsuki who befriends each other in the beginning of their fifth year in elementary school. However, the two friends have a secret – Shuichi wants to be a girl and Yoshino wants to be a boy. The manga fleshes out the two as they go through the confusion of adolescence as well as the lives of their friends and family. It can be a difficult task to tackle the subject of gender identity and transgenderism, but Takako Shimura handles the subject matter with sensitivity and wit. We love how Shimura handles dialogue here – conversations are simple and hardly wordy, yet affecting. It’s strangely reflective of the art style itself; it’s a contrast from Takemiya’s intricate panels, and is instead characterized by a simple minimalism that still manages to capture the complex emotions of each character. The pacing of the plot is slow, but deliberate. Shimura illustrates an almost day-by-day capture of Shu and Yoshino’s life, carefully unpacking their thoughts and insecurities. It is certainly not an action-filled title. The series has been named one of the best comics of 2011  by NPR, and if the acclaim can’t convince you to give it a read, then the lovely hard-cover presentation by Fantagraphics Books surely will. Fantagraphics  also has a generous 20 page preview on their website. Published by Drawn and Quarterly, “Hark! A Vagrant” is a collection of strips from Beaton’s popular webcomic  of the same name. Beaton has some clever insights regarding history and literature that will amuse liberal arts majors everywhere. And despite the sketchy style, Beaton has a knack of drawing the perfect facial expression that fits the humor of her strips, such as the Benjamin Franklin’s gleeful look  as he runs with his kite, or the exasperated expression  of Sasaki Kojiro as he faces off with Musashi Miyamoto’s boat oar. Really, “Hark a Vagrant” is, in our humble opinion, one of the best webcomics around alongside K.C. Green’s surreal Gunshow  (that was totally not an overt plug, shhh). Did we mention that “Hark, a Vagrant” also took a spot in NPR’s “Top Comics of 2011″ list? Because it totally did. 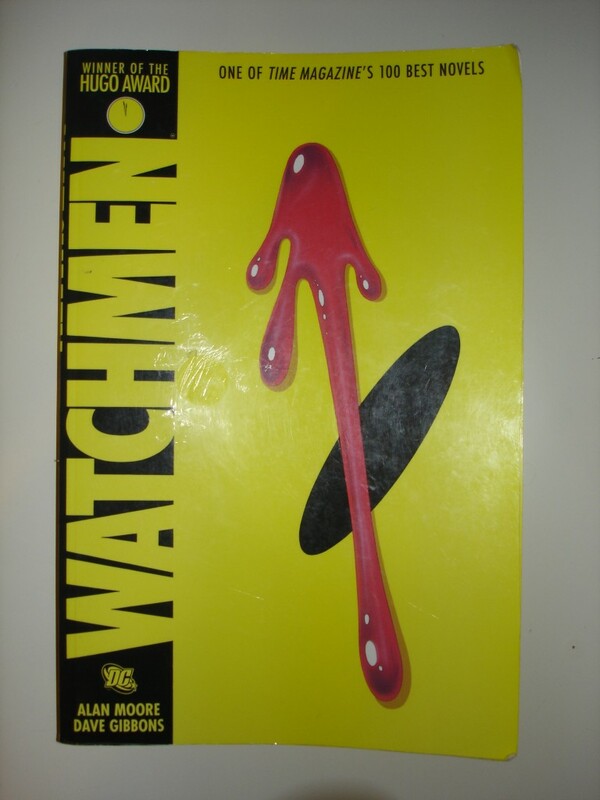 Does a classic like “Watchmen” even need a recommendation entry at this point? Published by DC Comics from 1986 to 1987, “Watchmen” takes place in an alternate world in which superheroes were real and protected cities until a piece of legislation entitled the “Keene Act” banned costumed vigilantes in 1977. The book explores the aftermath of the now ex-superheroes in the 1980s against a backdrop in which there is a constant loom of a nuclear war between the U.S. and the Soviet Union. The brilliance of “Watchmen” comes from the ways in which Alan Moore carefully examines and overturns superhero tropes. By placing the figure of the idealistic superhero in a setting of stark political tensions, there is a question of “to what extent can a superhero solve the world’s ills?” The illustrations by Dave Gibbons are wonderfully detailed in which everything from panel layouts to the smallest detail in the backgrounds relate thematically to the work in some way. Really, there is a lot of literature  all over the internet that eloquently explains the depth of “Watchmen” that we simply cannot compete with. All there is to say is that if you haven’t read it, you should.